Charles Partridge Adams w.c. 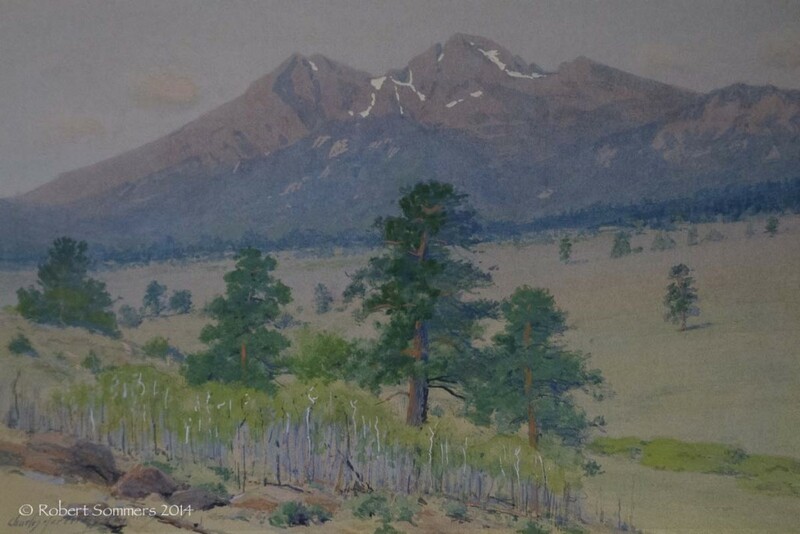 Longs Peak, from Estes Park, from the Sketchbox , 8 x 12″signed lower left, titled verso, lovely period frame p.o.r. Born in Franklin, Massachusetts, Charles Partridge Adams moved with his mother and two sisters to Denver, Colorado in 1876 in an effort to cure the two girls who suffered from tuberculosis. In Denver, Adams found work at the Chain and Hardy Bookstore. 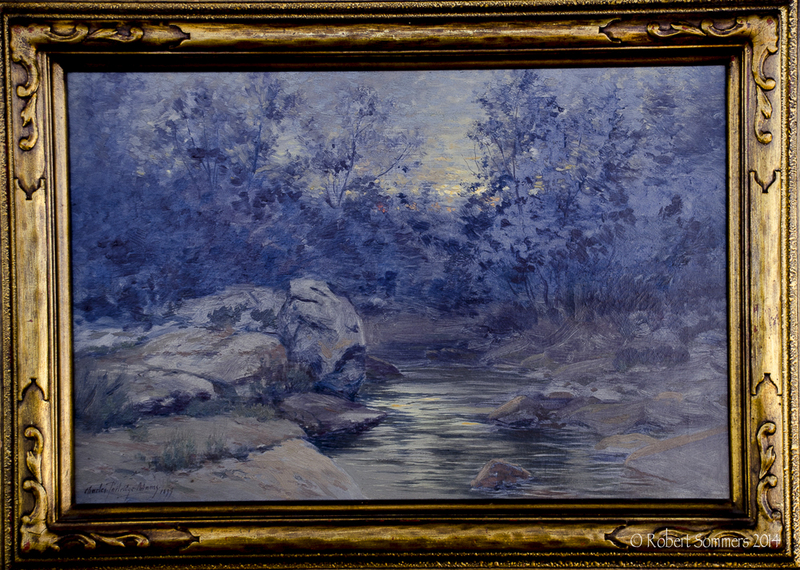 He received his first, and only art training from the owner’s wife, Helen Chain. Mrs. Chain, a former pupil of George Inness, provided instruction and encouragement to the young artist and introduced him to other artists in the area including Alexander Phimister Proctor. In 1905, the couple’s dream of living in Estes Park was realized when Adams completed construction on a home and studio there. Adams referred to the studio as “The Sketch Box” and the family summered there every year. Interstate and West Indian Fair, Charleston, South Carolina, 1901-1902 Louisiana Purchase Exposition, St. Louis, 1904.